USA Kandi Kane Professional Touch Discounts Apply ! 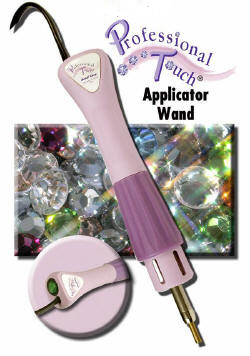 NEW KANDI KANE Hot Fix Tool/Wand with an ON/OFF SWITCH! Applies hot-fix embellishments to fabrics, ribbons, embroidery, quilts and other surfaces such as silk flowers.